The Australian is a very popular national daily of the Australian country. The Australian covers news of all parts of Australia and enjoys a wide base of readers and circulation. The Australian is published in the broadsheet format by the Rupert Murdoch’s news Corporation. The current chief editor of The Australian is Chris Mitchell and editor is Paul Whittaker. The Australian has a rich history of its own and has become a part of Australian identity. The newspaper was launched with the idea that a single national daily would serve all parts of the Australian country and cover news from all parts of the country. Sydney, the state capital was chosen as the headquarters of The Australian and was launched by Rupert Murdoch on July 15, 1964 as a newspaper, which supported independent and rational thinking essential for the advancement of the country. The Australian supports the liberal policies of the government and adopts a more liberal approach on certain social issues. The Australian is also known as ‘The Government Gazette’ because of its liberal-conservative views. The printed edition of The Australian comprises of 36 pages and focuses on arts, international, business, thoroughbreds, features, sports, weather, worldwide, business backpage, voices from the heart of the nation and APEC 2007. The Australian, apart from the printed edition, has an online edition too. The online edition comprises of various sections like business, nation, world, sports, cartoons, video, politics, media, higher education, weather, defence and opinion. There are also sections on travel, arts, science and nature and important features on various issues. In the online edition, there is a section on breaking news as well which gets updated on regular intervals. There is a section where you can express your views, write blogs on different topics and send editorial letters. The front page of the online edition of The Australian is very attractive with lots of colourful pictures and detailed stories on latest happenings and events of the world as well as of Australian continent. Some of the reputed journalists of The Australian include many renowned names like Paul Kelly, Greg Sheridan, George Megalogenis, Geoff Elliott, Christopher Pearson, Patrick Smith, Alan Wood, Matt Price, Dennis Shanahan, Frank Devine, Michael Costello and Louis Evans among many others. 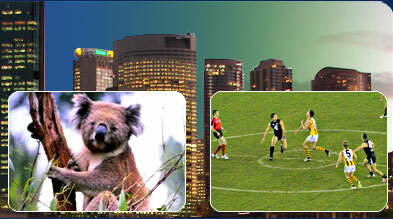 The Australian has bureau offices at Brisbane, Canberra, Adelaide, cairns, Darwin, Perth, Melbourne and Sydney. It also has foreign bureaus at Jakarta, London, Middle East, Los Angeles, Washington, New York, Tokyo and Beijing. There are separate editors appointed to look after these bureaus, which are located in both national and international cities. In order to receive a home delivery of The Australian, one needs to pay $6.95 per week. The Weekend Australian can be obtained on very Saturday at $1.50 per week. Special subscriptions are available for 10 and 26 weeks at $6.95 per week for Monday to Saturday editions and $1.50 per week for Saturday edition. The Australian is known for its excellent quality of information and its standpoint on different issues. The daily has emerged as the national source of quantitative and qualitative news.